Be honest with yourself, do you really know what’s in your wardrobe? Do you peer at your wardrobe longing for inspiration to leap out from it’s depths? Do you find yourself wearing a few items regularly and not really wearing the majority. Does your wardrobe consist of lots of items of clothing, rather than a collection of outfits? Do you struggle to put items together and are not really sure how to create a complete look? If you’ve changed a dress size are you still hanging on to items in your wardrobe that used to fit? Does your wardrobe reflect your lifestyle? Is it a good match in how you spend your time? Carrying out a wardrobe de-tox is cathartic to say the least. Too much clutter in our lives directly results in stress. If you are hanging on to items of clothing because you will ‘lose that bit of weight’ and fit back into them some day, you’re putting yourself under immense pressure. I’m not saying that everything which is too tight has to go, but be realistic about it. Knowing you have less items to chose from, but that each one of them works to create an outfit makes getting dressed easy and no longer a chore. Clutter can affect your mood, as a messy room or wardrobe can be a sign your life is in a mess. A minimalist style can help you to be more creative. With only one jersey dress for example, gives you lots of scope to style it to create different looks. Okay I’m Convinced So What Next? I will come to your house and we will discuss the image you want to create. We will then look at how your lifestyle. We will consider roughly how much time you spend on various activities. This helicopter view gives me an insight into whether your wardrobe reflects your lifestyle. Then I will ask you to show me your favourite outfit or items of clothing. I want to understand what you love about them and how they make you feel. We will then work through your wardrobe and decide whether each item should stay based on a number of factors, which will be personal to you. As we create new outfits, combining different pieces you may not have considered, I will create a photographic record of these. I will also make a list of items that you may wish to purchase. 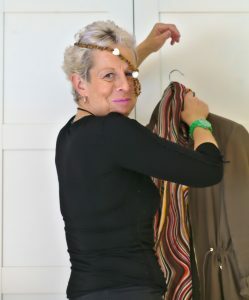 It is much easier to do this, if you are prepared to try on your clothing, as we go through your wardrobe. 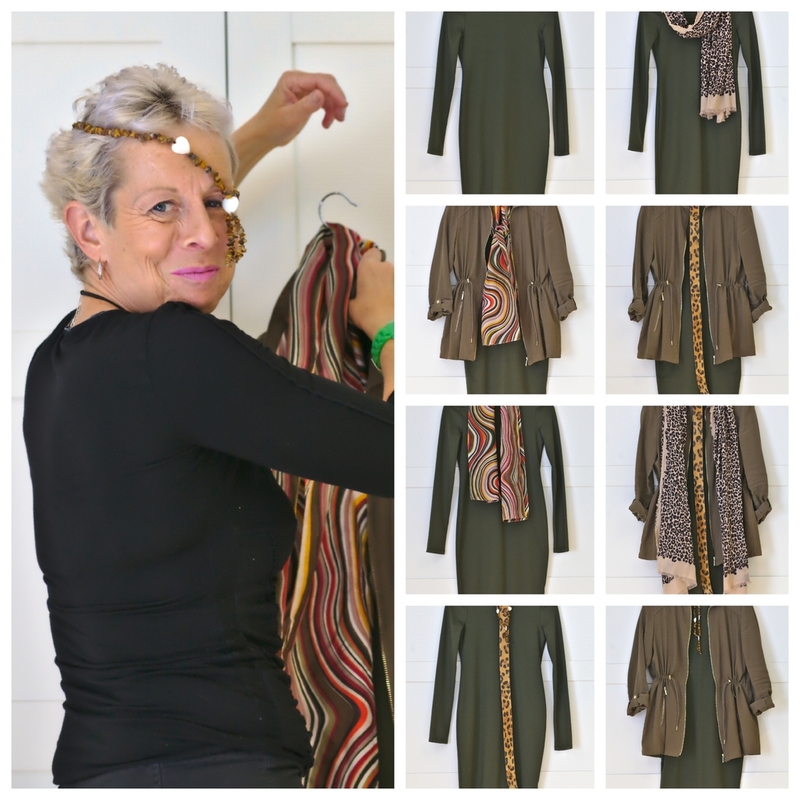 It allows me to show you how to style different combinations. The time spent on this consultation will vary depending on the size of your wardrobe, I allow 2 hours. If you have not had your colours analysed I strongly recommend we combine this service with a colour analysis. You may also want to add the wardrobe de-tox to a colour analysis and image consultation to give yourself a complete style makeover. We can then use everything we have from the colour and style consultation to put to best use as we work through the wardrobe de-tox.